Oculus CV1 + Glasses. Anybody there? 1 week ago I bought the Oculus CV1 with the summer sale. Since the Customer version has been released I was wondering about glasses + rift and found very few informationm, I don't have very bad eyes but I have to use glasses when I'm watching something too close or too far away. I tried immediately to jump inside the vr without and the result was pretty bad. The image is blurry and after 20 min max I have to remove it cause my eyes get very tired and dry. I was pretty scared of using glasses and scratch the lenses so I told to myself, let's check on internet first. After one week my investigation was pretty much useless cause I can find literally nothing more recent than summer 2016. 90% of the results are pre CV1 release and are of course not reliable. The only information that I managed to gather is that no screen protectors can be used due to the lenses curvature. - Is there really no way to protect the lenses from scratches (like the screen protectors used for phones)? I know that they could be used on dk1 and dk2... are we going backward instead of improving the quality of the product? - Is there anything, apart from using contact lenses, that can be done to have a comfortable and safe experience? 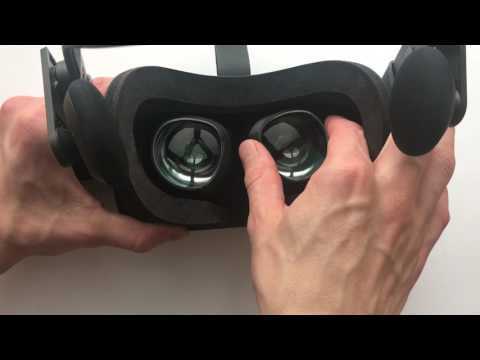 - I've been able to find only this alternate solution so far https://vr-lens.eu/ but I can find no reviews, just a bunch of people saying that it might work. Do you know if they work well? https://vr-lens.eu/ work really well for me. Easy to fit and remove and of course they protect the RIFT lenses. So you all confirm that there is no standard protector for the cv1 lenses and that (like the phone stickers) and that using glasses while definetely scratch badly my lenses? Well, glasses won't definitely scratch the lenses, but it's a possiblity. If you have something like glasses not fixed firmly in place then there could be contact with the lenses. I like the vr eu lenses because they clip securely in place over the RIFT lens barrels and stay put. so far im not aware of my glasses touching the lenses. or here : https://vr-lens.eu/ ? It's easy for the CV1 faceplate to pull off your glasses and bang them right into the fragile CV1 lenses when you take it off. And even if you buy VR-lenses (or a small ugly pair of ordinary glasses for VR), you've only solved the problem for one user. Now that I've purchased my first VR headset I know what will come on the top of my list when it comes to choosing my second one : Glass user support (the CV1 doesn't have any, and doesn't even have a wide enough faceplate to make up for not having any). I got mine from https://vr-lens.eu/ . They are a completely different design from the lens-lab ones. I need quite strong reading glasses for every day life. I was very pleased when I discovered my glasses have zero effect in my rift. I think that means they ship to just about everywhere apart from Luxembourg. Just drop them an email to confirm. yep, you only need lenses for the RIFT if you are short sighted. I have been thinking about getting some of these rather than the Lens Lab ones, as I have not been too impressed with the general fit and quality of the Lens Lab stuff so far. Is there any barrelling, distortion or any extra god ray effect? Also are they easy enough to fit and remove if needs be, incase friends or relatives want a go? At the moment I wear contacts to use the Rift, but I get dry eye and sometimes the contacts can get a bit uncomfortable as they dry out even quicker when using the Rift. It would be nice just to be able to take my glasses off and just put the Rift on without spending 10 minutes putting a pair of contacts in, which of course also cost me about £1.50 a pair on average. So it's a bit like spending a £1.50 every time I want to use my Rift. I used my RIFT wearing my glasses for a few weeks before I got the vr-lens-eu . The freedom of just putting on the Rift without them is wonderful. I have no distortion at all, haven't noticed any difference to the god rays either. They are simple to fit and remove once you get the 'knack' . Thanks for the info, I shall have a think about investing a set. Should make it a bit more accessible for me than wearing contacts. It's all going to depend on the shape of your face, size of your head and the size of your glasses. When I was showing my Mom the headset it fit fine with her glasses on. I, however, have such a freakishly large head that, even when I'm wearing an older pair of glasses that just barely fit into the headset, the strap doesn't extend far enough to even give clearance to the glasses when putting them on. TL;DR you'll just have to give it a try to see if it works. If you feel your glasses touch the lens carefully remove the headset without grinding the lenses against each other. There's also the long faceplate from VRcover that gives you some extra room for glasses.